Microsoft has begun teasing that it has a "major" announcement to make at a media event next Monday, June 18, while one report states that the company will show off new ARM-based tablets running Windows RT. Members of the press were invited by Microsoft to a media event in Los Angeles next Monday for a "major Microsoft announcement." No other details were offered by the company. Citing "sources outside the company," Ina Fried of All Things D reported on Thursday that the L.A. event is expected to show ARM-based tablets running Windows 8. The event will also reportedly "highlight some of the kinds of programs and services that will run on the products." Windows 8 is scheduled to launch later this year on both traditional PCs, and portable low-power tablets featuring ARM processors. Apple's iPad, which currently dominates the tablet market, is based on a custom ARM processor. This April, Microsoft revealed that Windows 8 on ARM devices would be known as Windows RT. It will be offered alongside Windows 8 on traditional PCs, and Windows 8 Pro, a more full-featured version of the desktop operating system. Windows RT won't be sold at retail, and will only be available preinstalled on PCs and tablets powered by ARM processors. Microsoft hopes this will enable new thin and light form factors with improved battery life. Windows RT is also set to include a touch-optimized version of the Microsoft Office suite, which includes Word, Excel and PowerPoint. The company is also rumored to launch a version of Office for iPad on Nov. 10 of this year, a date that could allow the company to first launch Windows RT and not give the iPad an early advantage with access to Office. 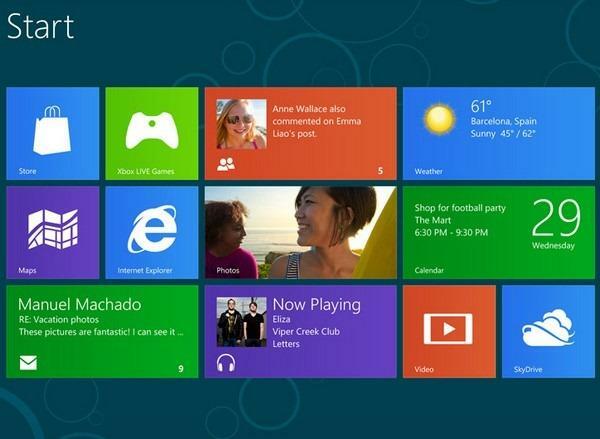 The ARM-based version of Windows 8 will not support installation of traditional computer software. Instead, Microsoft intends for developers to to focus on WinRT, the new Windows runtime that will form "the foundation of a new generation of cloud-enabled, touch-enabled, web-connected apps of all kinds." But some see Microsoft's approach with Windows RT as potentially confusing for consumers. Mark Moskowitz of J.P. Morgan said in May that he feels the multitude of Windows-branded devices could end up benefitting Apple, as the iPad maker offers a more integrated solution and streamlined product lineup that could be less intimidating to consumers. "We think that the consumer could be confused and distracted by the bevy of PCs, tablets, e-readers, and hybrid devices slated for release later this year," Moskowitz said. "A combination of varying operating systems and hardware form factors are the key reasons." He said that a total of seven ARM-based Windows RT devices will be available at launch this October. He believes the general lack of available devices, relative to the sprawling PC market, is being driven by Microsoft, as the Redmond, Wash., software giant aims to maintain tight control over the initial release for quality control purposes.